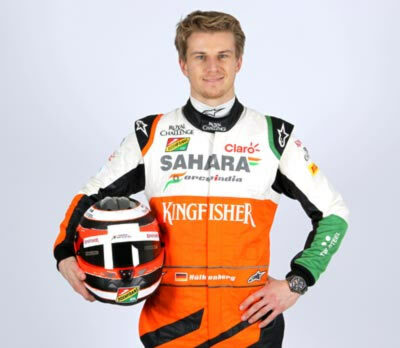 German driver Nico Hulkenberg will race in next year's Le Mans 24 Hours sportscar race with Porsche as well as Formula One with Force India, the German manufacturer said in a statement on Thursday. The 27-year-old, Force India driver, who will also race in the Spa six hours in May, will be the first active F1 driver to enter the endurance classic since Le Mans local Sebastien Bourdais did so with Peugeot in 2009. "Porsche and Le Mans -- this combination probably attracts every race driver," said Hulkenberg. "I’ve been a Porsche fan for a long time and have been watching their return to the LMP1 class closely." Australian Mark Webber, who left Formula One last year after seven years with Red Bull, raced for Porsche at Le Mans this year and is competing with them in the world endurance championship. The governing FIA has an agreement with Formula One's commercial rights holder that no races will clash with Le Mans, which is on June 13/14 next year.